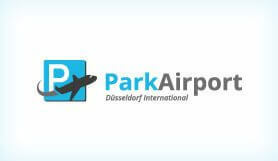 With Park Airport Düsseldorf you can get your trip off to a flying start by taking advantage of this fantastic Meet & Greet service! If you are looking for a hassle-free start and end to your trip then look no further than booking with Park Airport. The service offers professionalism and efficiency when you park; you won’t be left waiting around for shuttles or other passengers, simply drive to the airport and Park Airport will park your car for you. Your car will be carefully driven to the nearby car park once you have headed off to check-in. You won’t have to worry about the safety of your vehicle while you are away, as the car park itself is highly secure and boasts a number of security features including; 24 hour onsite security, CCTV surveillance, undercover parking and fire and theft insurance. This is a great parking solution for those travelling with young children, large or heavy items of luggage or if there are any disabled passengers travelling, as there is no need to use shuttle services and you drop off and pick up your car right outside the terminal entrance – quick and easy with minimal fuss. Secure Valet parking at Düsseldorf airport, quick & easy parking option. No transfers are needed, valet parking is an excellent alternative for disabled customers who would find it difficult to use transfer buses. Your car is collected from the terminal when you leave, and brought back to you at the terminal on return. Please print your booking confirmation and take it with you on the day of departure. Fuel service and car wash are available for an additional fee. On the day of departure, please drive to 'Departure Terminal A' at the airport. You will be met by a driver who will check over your car and confirmation and issue you with an ID-Number and telephone number. Your car will then be driven to the nearby car park and your cars stored securely onsite. On your return, please call the car park when you have collected your luggage. Your car will then be brought to you at 'Departure Terminal A'. Take Heinrich-Heine-Alle, Hofogartenrampe and Oederallee to Joseph-Beuys-Ufer/B1. Continue on B1. Take Danziger Str./B8 to Stockumer Höfe. Take the exit toward A44/A52/Velbert/Essen/Flughafen from Danziger Str./B8. Get on A44. Drive to Exits 31-Flughafen Düsseldorf. Drive to Departure terminal A for Meet & Greet terminal.